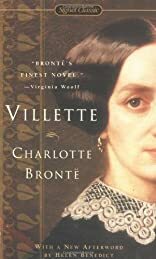 This multi-layered, often lyrical, autobiographical novel is considered by many to be Charlotte Bronte's best. Monsieur Paul's (i.e. Professor Heger's) and Lucy Snow's (i.e. Charlotte's) experiences in Vilette (Brussels) in and around a pensionnat are haunting and full of enchantment. Thirteen 90-minute cassettes.